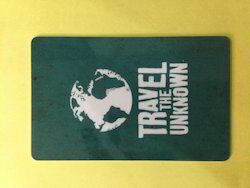 We are the leading manufacturer and wholesaler of Plastic Luggage Tags. 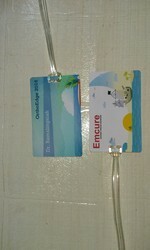 Our offered products are Printed Plastic Cards, Cards Lanyards and Conference Badges. 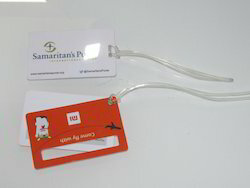 Our immense knowledge base has enabled us to manufacture and export Plastic Luggage Tags. The offered tags are exceptional in terms of quality and durability owing to the use of high-grade materials in their manufacture. They are made in tune with international standards and are stylish in appearance as well. 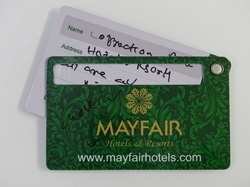 These tags are used for displaying information of the owners and avoid confusion at the time of dispatch. 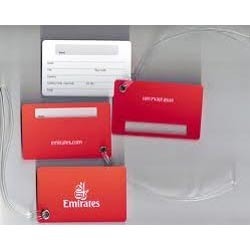 We are among the pioneers in the industry for manufacturing and supplying Plastic Luggage Tags. The offered tags are exceptional in terms of durability and have earned us a huge clientele across the globe. They are used for displaying information about the owners of the baggage. These tags help in eliminating hassle during dispatch of luggage at airport terminals. They can be supplied in bulk as well. 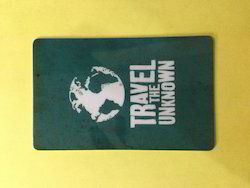 We are leading Manufacturer of Plastic Double Card Luggage Tags. 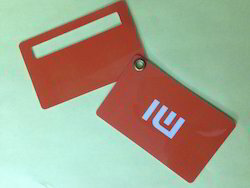 We are the manufacturer of PVC Bag Tag. 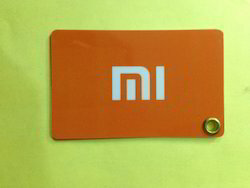 We are leading Manufacturer of ATM Card Luggage Tags. We are leading Manufacturer of Double Card Luggage Tags. 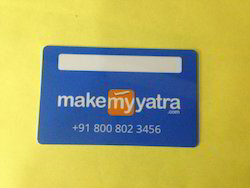 We are leading Manufacturer of Plastic Luggage Cards. 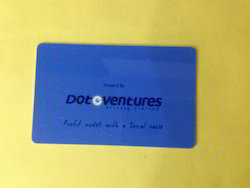 We are instrumental in manufacturing and supplying Plastic Card Luggage Tag. 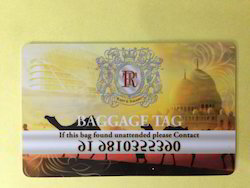 The offered tags are attached to luggage at airports for aiding in easy recognition of the goods by the commuters. They are remarkable in terms of quality and have a perfect finish. 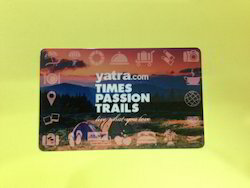 These tags are available in a wide range of colors, sizes and shapes owing to our customization facility. We are well equipped for handling bulk orders.